Lead or Leave- England’s Choice is Clear- But Has She Missed a Major Opportunity? I need to say from the start that I am Irish and that I truly love England. She is an old friend although we have a deep challenging history. I also must say that I was truly shocked by her vote yesterday to leave the EU. I myself question many things about the EU including, how it is run, the excessive bureaucracy and the endless inefficiencies. But I have always seen this great model as holding many opportunities for humanity. I have seen it as a place where we can learn to live and work together and to move towards-unity. I see the EU holding the potential for us to measure how we are doing as humans. Are we getting along, collaborating and supporting each other to be something bigger than we are on our own? I believe that England’s decision to leave was made from fear greatly influenced by the mass migration that Europe is experiencing. Living here these days, I can certainly see that this is a valid concern as social systems are overburdened in all countries as refugees arrive and mass migration is a way of life. ~ What are the solutions to Europe’s migration and many other problems? ~Can we stand by and watch people fleeing from wars with infants in their arms as they make their way onto unsafe boats boarding for unknown lands and often never making it? ~When does their crisis become ours? For England I guess it was all too much. She wanted her sovereignty back. Historically -she sailed solo on the great seas. With her renowned navy, she held power, strength and dominance in the world. She still holds this memory. I believe England made her decision – from a place of fear not strength. She wanted to return to controlling her destiny, as this is what she knows best. But I think she missed a very important point- that solo sailing is a thing of the past. I believe she missed a major opportunity. Far greater, more courageous options of leadership were available to her which would have allowed her to provide guidance and to use her many gifts and experiences to steer Europe to higher ground- but she did not make this choice. In this time of distress for many, there is some good news. I am meeting other people, like myself, who seek to work in collaboration and partnership with others. Who have in the past been the lone cowboys and cowgirls and are done with this way of being. I am meeting many who are concerned deeply about the wellbeing of others and know that we are all interconnected and the pain of the woman refugee escaping her war-torn country with her baby on the boat ~is our pain. We are all interconnected and can no longer afford to turn our heads or isolate. It is clear to me that Europe is at a crossroads and it needs to become the leader in finding solutions to many diverse problems. Will the remaining 27 EU nations pull together and grow from yesterday’s experience? Will they be the ones who find compassionate- solutions to the problems of mass migration- unnecessary war and hate? 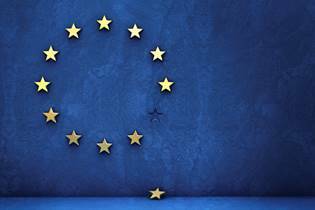 Will the EU become the model that it has the potential to be? I believe that within every crisis lies an opportunity. What could he opportunity be here? “Is the whole greater than the sum of its parts”? If we collectively answer yes I believe there is hope. Becoming leaders takes courage and determination and most of all a willingness to step forward. It cannot and will not be done for us. Though, each of us must take that step for ourselves, we need not do it alone. Hopefully we too can and will do it by manifesting our feminine natures. We need to rely on them for they are our strengths. What kinds of risks can you to take that will bring you closer to the life you were meant for? What is the conversation about your life that you most often return to that no longer serves you? What would you like to be, do or have that you keep relegating to the domain of “someday”? What wakes you up in the wee hours of the morning, seeking your undivided attention? Is there a dream that you’ve given up on or a joy you’ve forgotten? Remembering your destiny is so much more than simply recalling some ephemeral past memories. It is actually a returning to, a rediscovery of your whole self and a full realization of your extraordinary place in the tapestry of life. What innate talents do I possess? What are my greatest gifts? What do I enjoy doing so much that I lose track of time while I’m doing it? What are the guiding principles of my life—what is my polestar? What do I love the most about life? How can I have powerful and on-going support for taking risks and living fully? Several years ago in a blog entitled “Are Women In The US Really Leading?”, I commented on a global survey ranking women in the area of gender equality that was compiled by “The White House Project”. The survey stated that “The United States ranks 22nd out of 115 countries.” The report utilized 4 measurement standards: economic participation and opportunity, educational attainment, health and survival, and political empowerment. We came in first for Health and Survival, and third for Economic Opportunity. But, we received our lowest score for Political Empowerment, coming in 66th. I wondered about our progress since that time and went looking for an updated report. I discovered a thought provoking and heart touching blog written by Mary C. Wilson for “The White House Project Blog”, entitled A False Divide Between Head and Heart: What I Learned From Robert McNamara. It is well worth reading in its entirety. Becoming leaders takes courage and determination and most of all a willingness to step forward. It can not and will not be done for us. Though, each of us must take that step for ourselves, we need not do it alone. Influence directly relates to who you are rather than what you do. People need to believe in you, trust you and know they can count on you to deliver and be what you espouse to be. 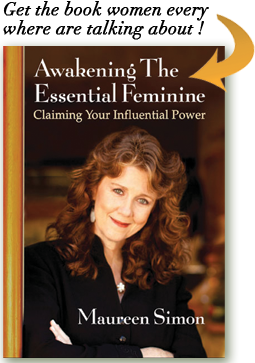 There are very elemental qualities to being a woman of influence. Trust is one. Your ability to know what you value and believe and to live it through all your words and actions is another key and important element. When people meet or speak with you and can clearly determine that you live and work from a place of integrity doors open and life becomes fuller and richer. A key element in influencing is being able to look at the needs of another and to act for the betterment of others or the whole. Our world today is leading us to think and live beyond our needs and to include the needs of others. In order to do this, we must become empathetic and interested in others. With the world’s walls and borders opening through mass communication, we are for the first time in an excellent place to begin to understand and include others needs alongside our own. We can do this through taking an interest in a topic that takes us outside our own world to another or by reaching out to a person in a country or place that we may judge yet want to know more about. Our ability to influence, to contribute and to be a part of the many necessary changes that are needed in our world today is a conscious choice. Notice where your influence, skills or contribution is needed and understand why. Begin to take focused and meaningful actions that will allow you to make a difference in areas that are important to you.